The QUIPOS agency was founded in Milan, in 1971, by Marcelo Ravoni and Coleta Goria, two experienced illustrator-cartoonists. Though fully integrated into the Milanese and Italian way of living in general, both were born and educated in Argentina, which explains their choice of company name, a word that held a special meaning for them and which evokes Latin American culture. 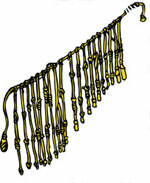 In fact, Quipos is one of the Spanish versions of the Inca word Quechua, which stood for a purely visual method of recording events and transmitting information, much like illustration, cartoons and comics. 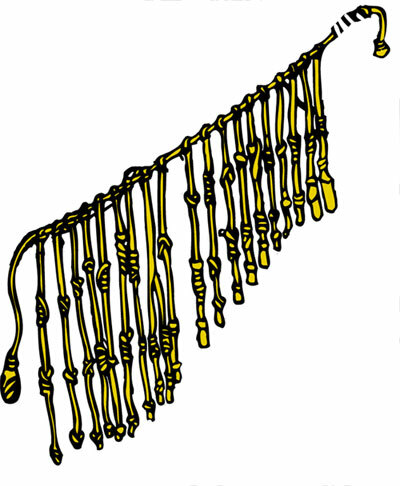 The Quipos, a proto-alphabet abandoned more than five centuries ago which consisted of a system of colored cords with knots at irregular intervals, had a symbolic similarity to the agency's business model, which originally involved representing several South American artists.